Here is a video from the New York Motor Show of the Bentley Press conference where Bentley introduces the new Bentley Brooklands coupe. It does have good lines, really does remind me of a larger version of the original Bentley Corniche as explained earlier here. 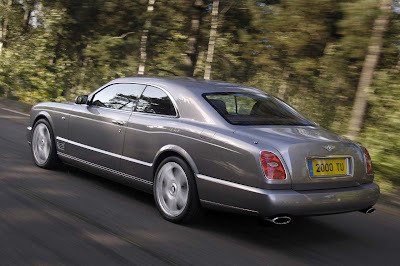 Now for the first video of the Bentley Brooklands in action. The first year of production is already sold out. Another interesting fact is that this car starts its life out as a Bentley Azure, then a metal roof is welded in place. Interesting.